Its unique design works by gently steering the head and therfore controlling the dog's direction of movement, making training easy and putting you, the owner, back in control. 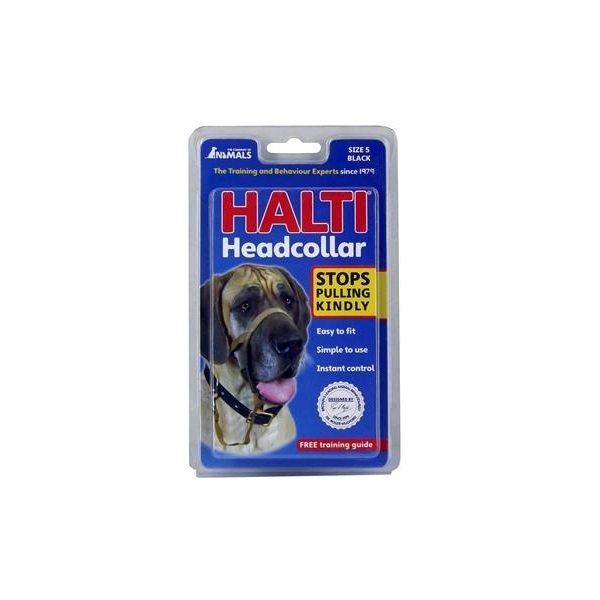 Suitable for Bloodhound, Mastiff and St Bernard Sized Dogs. Fully adjustable for a comfortable and secure fit. Made from durable nylon weave.